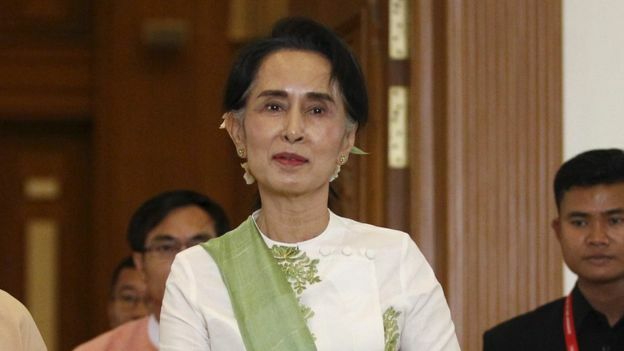 Aung San Suu Kyi, in government at last! Congratulations to the people of Myanmar, or Burma as we used to call it. Today they have just sworn in their first democratically elected government for over 50 years. This has been a long and hard struggle, personified by the calm and determined leadership of Aung San Suu Kyi and her thousands of supporters in the National League for Democracy. Credit must also go to Thein Sein the former army general who has led the process of the military’s slow relinquishment of power. Such transitions of power are never easy. It is always a struggle. There are many problems Myanmar has to face, not least finding a peaceful and equitable place for the Rohingya Muslims in the new democratic Myanmar. It’s now five years since the Arab Spring when many people hoped that a peaceful and inclusive transition from authoritarian to democratic government would sweep across the Arab World. It failed. Some partial progress has been made in Tunisia, ghastly civil war grips Syria, Libya is in chaos and Egypt under Sisi has echoes of the Mubarak era. I guess the lesson from Myanmar to the pro-democracy voices in the Arab world is simply to have patience, it can be a long and slow process, but in the end progress is possible. Countless countries have made this transition from authoritarianism to democracy. Once democracy is established it is never perfect and always subject to being subverted by vested interests or distorted by populist hate-fuelled demigods. It remains as Winston Churchill said ‘the worst form of governance, except for all the others’. It is often those politicians who suffered most under authoritarian regimes who make the best democrats. For me the three greatest leaders of recent times have been South Africa’s Nelson Mandela, Uruguay’s Jose Mujica and Myanmar’s Aung San Suu Kyi. And today congratulations go to Aung San Suu Kyi and the people of Myanmar. Good luck! This entry was posted in Politics on 30 March 2016 by Richard. February 2016 was the warmest month on record. 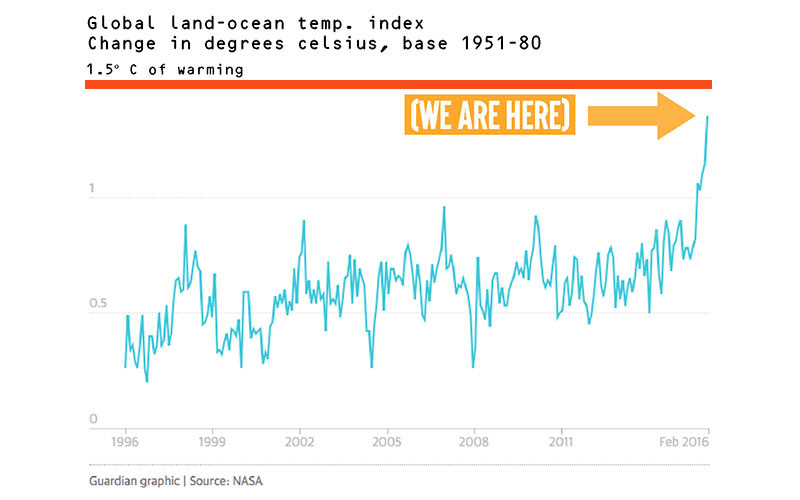 Global temperature records keep being broken, but last month’s increase was exceptional. The Paris Agreement talked about limiting temperature rise to 1.5 or 2.0 degrees Celsius, but this peaking of global temperatures was envisaged to take place decades in the future. In February we reached 1.35 degrees. At this rate the Paris limits could be broken in a few years, or possibly a few months, rather than decades. The implications could be catastrophic. Climate scientists like James Hansen, David Wasdell and Peter Cox have written about the possibilities of sudden dramatic shifts in climate. Rapid sea level rise could result in billions of climate refugees and possibly in timescales our political system simply could not deal with. As I repeatedly stress, in these blogs, in talks and classes I give and in my lobbying of politicians, technologically and philosophically there is much that could be done, but tragically the political will has been the missing element. I have met my local MP’s and MEP’s, I gave a talk in a committee room at the House of Commons and have been to listen to and question ministers. Overwhelmingly the impression I get is that the vast majority of our politicians are hopelessly disinterested in either Climate Change or in the opportunities to do anything meaningful about it. The degree of technological illiteracy of our politicians I find staggering, especially in relation to the very technologies that might be most useful in helping us rapidly reduce carbon emissions. Since my childhood in the 1960’s and 70’s I’ve been banging on about Climate Change and the myriad other ways we are damaging this unique and fragile planet. Of course the planet will survive and other species will evolve to fill the ecological vacuum left by the mass extinction of species as we and countless other species go extinct. It is not so much the planet as humanity and other complex life forms that are in peril. We, like all mammals, require very specific oxygen levels in the atmosphere, ocean chemistry and climatic stability in order to flourish. We are jeopardizing our future by our collective actions, and lack of actions. So much of the last 50 years has been wasted in arguing and fighting over trivial issues, like whether capitalism or communism is a better system, whether Britain should be in the European Union or whether Scotland should be an independent country. Our survival now will be determined by our abilities as a species to cooperate to live in a way that provides for all humanities needs and does so in a way that does not jeopardize future generations. Theoretically this is achievable, politically it seems improbable. We as a species may not have long to change the way we manage our affairs. This entry was posted in Environmental, Politics on 23 March 2016 by Richard. In pumped storage hydro systems water is pumped up from a lower reservoir to a higher one when electricity supply exceeds demand, and then allowed to flow down again when demand exceeds supply, driving a turbine en route, and so producing electricity exactly when it is needed. It works like a giant battery as a way of storing energy. The beauty of such systems is the speed with which they can respond to changing demand, ramping up from standstill in a couple of minutes or from spinning reserve in seconds. Britain currently has four such systems, mainly built in the 1960 and 1970’s as a way of helping the massive and inflexible coal and nuclear baseload plants of that era match the fluctuating patterns of supply and demand. Britain’s biggest is Dinorwig in Snowdonia, with a capacity of 1,738 MW. In the 1980’s more flexible gas power stations were built and the need for pumped storage declined somewhat, so none were built over the last 30 years. Now as more and more wind and solar come onto the grid additional pumped storage schemes are being planned. In Scotland SSE would like to build several such systems, given the right financial confidence that their investment would be a sound one. A lack of clear government policy has been a problem. Lord Adonis and the National Infrastructure Commission have just issued a report that calls for more ‘interconnection, storage and demand flexibility’. I couldn’t agree more. Lots of other storage technologies will also have a role to play, from compressed air to batteries, super capacitors to flywheels and additional pumped storage should certainly be on the shopping list. 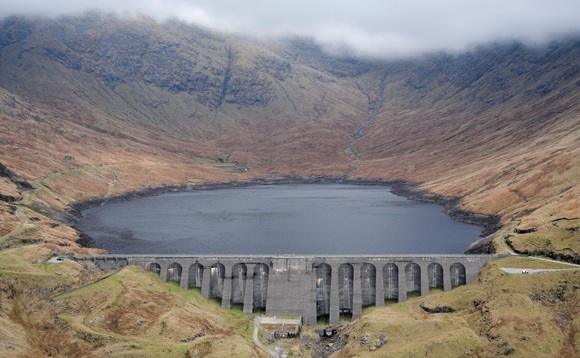 Currently the focus is on whether to expand the Cruachan Pumped Storage Hydro Power Station above Loch Awe near Oban in Scotland, from 440 MW to 1,040 MW. To me this seems like a worthwhile and useful project and I hope Lord Adonis thinks so too! This entry was posted in Energy on 16 March 2016 by Richard. I have frequently written on this blog about air pollution and the need to curb the use of diesel engines. 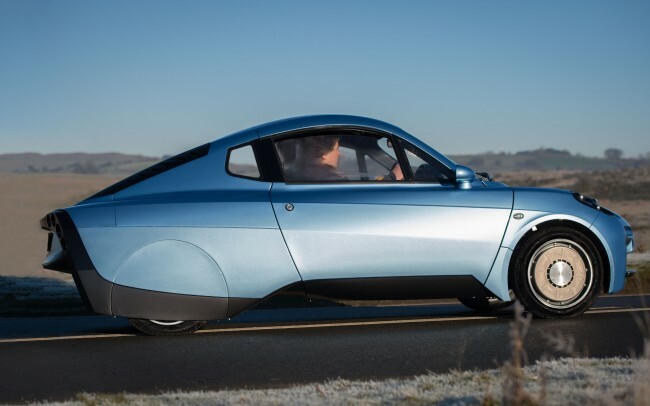 I have also frequently written about the advantages of electric or hydrogen fuel cell technologies and a particular favourite of mine the Riversimple car. The last few weeks have seen interesting developments. The evidence of the damage caused by diesel engines and the media interest in this is steadily growing. Client Earth and the European Union are thankfully still pressing ahead with legal action against our government for their lack of action on improving air quality. Riversimple has at last unveiled the Rasa. Being a hydrogen fuel cell vehicle its only tailpipe emission is a little water. For 15 years they’ve been developing a car that seeks systematically to eliminate the unsustainability of personal transport. The key is to make every component as light weight as possible, so the overall weight of the car is only 580 kg. This year they plan to make 20 cars and trail them in one, as yet undisclosed, locality based around a hydrogen re-fuelling facility. By 2018 they hope to be in larger batch production, and by then hydrogen re-fuelling stations should be very much more common. The Rasa is a two-seater version and it is envisaged that larger cars will follow. I think in many ways my transport requirements are typical of many people. Most days I don’t need a car. I work from home a lot and live in an urban setting where pretty much everything I need is within walking or cycling distance. I use a shopping trolley for heavy shopping. I use public transport when I travel to other towns and cities or to go on holiday. A few times each month a car is very useful. Often a small two-seater car like the Riversimple Rasa would be ideal. Maybe once a month a bigger car is useful for when a group of us go out for the day, or to transport bulky items. Owning a car hampers flexibility. Often people drive a car weighing a tonne to get just themselves to work, or to go shopping, when such a car is simply too big for the purpose. Or the car sits unused for long periods. Either way this seems a waste of resources and curiously old fashioned. The more efficient and modern way is to give up the ownership of vehicles and utilize more diverse methods of transport best suited to each individual trip. Shared ownership is key to this, and car sharing clubs, improved provision of public transport options and of cycle lanes are all part of a more sustainable future, as is the change from petrol and diesel to electric and hydrogen vehicles. Many cities seem to have passed ‘peak car’, and now have growing populations, living increasingly densely together with rapidly declining car use. So far no city has completely banned the use of petrol and diesel cars, but it is only a matter of time before one does. Which will be first? This entry was posted in Transport on 6 March 2016 by Richard.